The education ministry has announced that public schools will re-open on August 2 after being closed this month following an outbreak of dengue fever. Schools were temporarily closed on July 1 based on advice from a task force formed to control the spread of the mosquito-borne disease. But special classes continued for grade 10 students ahead of the O’ Level examinations in October. Four people have died from dengue fever while more than 600 cases have been reported this year. A total of 775 cases were reported in 2014. Two people died from dengue last year. A relatively severe outbreak of dengue in 2011 saw a record high 12 deaths. Last month, the government launched nation-wide efforts to prevent mosquito breeding, including mosquito fogging in Malé and the atolls and clean-up programmes. Following an outbreak of dengue fever, the government has closed schools until further notice. At least two people have died from dengue this week. 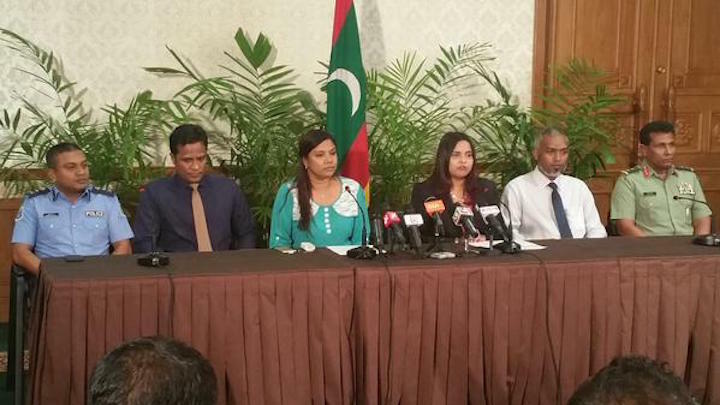 Speaking at a press conference of a high-level task force formed to control the spread of the mosquito-borne disease, education minister Dr Aishath Shiham said schools are being shut down temporarily to ensure the safety of students. Special classes will be organised for grade 10 students to prepare for their O’ Level exams in October. A pregnant 18-year-old woman died of dengue fever at the Indira Gandhi Memorial Hospital on Friday night while a migrant worker died in Gaaf Alif Kooddoo last week. A seven-month old infant who showed symptoms of dengue-fever died at Baa Atoll Eydhafushi today. Meanwhile, some 1900 people sought treatment for a flu this week alone. The symptoms of the flu include diarrhea and vomiting. A relatively severe outbreak of dengue in 2011 saw a record high 12 deaths. Health minister Iruthisham Adam told the press today that the government’s efforts were geared towards preventing an outbreak of similar proportions. Compared to the 2011 outbreak, the health minister said the spread of the disease this year has been “manageable” due to proactive preventive measures. In addition to mosquito fogging in Malé and the atolls, Iruthisham said the government is launching a nationwide clean-up programme, and appealed for participation at the household and community levels. Arrangements have been made to provide treatment for dengue fever at the government-run Dhamana Veshi urban primary health centre, the police ‘Noosandha’ clinic, and the Senahiya military clinic, she said. The Health Protection Agency (HPA) has meanwhile launched a 24-hour ‘dengue hotline’ and urged the public to call or text 7548221 for information. Housing minister Dr Mohamed Muiz said the ministry is scaling up its cleaning efforts to eliminate mosquito breeding sites from construction sites. An additional tug boat will begin operations today to improve waste management services in the capital, he added. Home minister Umar Naseer appealed for cooperation from councils, clubs and communities in islands with the government’s programmes. Earlier this month, HPA issued an alert warning of the spread of dengue and viral fever across the country and advised precautionary measures to control mosquito breeding during the rainy season. The Interschool Human Rights Theatre Festival exhibits the high level of awareness amongst primary and secondary school pupils on different human rights issues. The three day festival organised by the Human Rights Commission of the Maldives (HRCM) ran from September 25-27 and saw creative and extensive theatre pieces from seven schools alongside six short but thought-provoking skits by a group of volunteers from the HRCM. Of the seven schools participating, four schools were from the capital Malé and the remaining three schools from the atolls. All seven theatre pieces by the schools – two of which were recordings from two schools from the atolls – showed creativity in presenting different human rights issues, with different schools opting for different forms of theatre. The winning entry featured children from Jalaaluhdheen School – in Haa Dhaalu Kulhudhuhfushi – using a traditional and effective form of theatre in which all of the scenes were presented at the same time to show human rights violations towards migrant workers. Well laid out scenes brought to life the many situations in which migrant worker rights are violated. Unsafe working conditions, disrespectful customers at a restaurant, and a classroom scenario where the students verbally abused the foreign teacher convinced the judges to select the Jalaaluhdheen piece as the outstanding entry. Pieces from the other schools focused on disabled people’s rights, with the runner-up entry from the Galolhu Madharsaa exhibiting a well-coordinated piece with excellent visuals, audio, before concluding with a beautiful message. Skits by the volunteers were based on elderly people’s rights, women’s rights, and children’s rights. While speaking to Minivan News, HRCM Vice President Ahmed Tholal said that the aim of the festival was for the students to gain a deeper understanding of human rights by actively taking part in the theatre pieces. “We want to encourage a more creative approach to human rights compared to learning about human rights only through reading or listening material”. The winning piece suggested the festival had been a success, with excellent awareness shown by the students of the rights of migrant workers, who are believed to amount to more than a hundred and fifty thousand individuals. It also illustrated that violations do not only occur at labor level jobs but also in blue collar posts. The festival is also noteworthy in its high level of participation of students with special education needs such as participation from Jamaaluhdheen’ class for hearing impaired children (CHIC) and Thulhaadhoo’s Special Educational Needs class, from Baa Atoll. The children performed on the same platform, and were judged against the same criteria, as the other schools. The festival which was the first of its kind organised by HRCM was funded by UNICEF with collaboration with Ministry of Education. Additional sponsorship was received from Bandos Island Resort and Muni home care. Tholal also highlighted other awareness projects which are aimed at school children such as the creation of human rights clubs within the schools and the the recent human rights defender training held at Girifushi to enable youth to facilitate sessions in collaboration with these clubs. Studies will resume for students of grades nine and below when schools reopen tomorrow, reports local media. In a controversial move in late June, the government decided to shut down schools during the holy fasting month of Ramadan for grades nine and under. According to the education ministry, schools were instructed last week to resume studies on Monday under normal school hours. The ministry had also made changes to the annual academic calendar, bringing forward the mid-term break for the second term from August 24-28 to July 20-24. Additionally, schools have reportedly been instructed to conduct studies on an additional five days of its choosing between August 10 and 28. Some schools in have continued holding classes for grade 9 and under, despite instructions from the Education Minsitry to stop lessons during Ramadan, reports Haveeru. Local teachers told Haveeru that extra classes have been arranged after consultations between parents and teachers amid fears that the extended break would prevent the completion of the syllabus. Instances of classes continuing were reported in Gaafu Dhaalu and Lhaviyani atolls. With less than seven days’ notice, the government last week announced that school sessions would not be held for students in grades 9 and under during the month of Ramadan. The regulations also said that school sessions for grades 10 to 12 should begin after 9am and should last a duration of three hours per day. The Ministry of Education has on Tuesday announced that school sessions will not be held for students in grades 9 and under during the month of Ramadan. The regulations that they released further state that school sessions for grades 10 to 12 should begin after 9am and should last a duration of three hours per day. The ministry also ordered schools to ensure that no activites are held at the times of Maghrib and Ishaa prayers, and that any activities that are held at night should be held in such a way that allows students to attend Tharaaveeh prayers – special prayers held after Ishaa during Ramadan – as well as the weekly sermons organised by the government. The Teachers Association of Maldives (TAM) has announced a nationwide teachers’ strike to protest against pay discrepancies and the state’s failure to improve the education sector. President of TAM Athif Abdul Hakeem said the strike can go ahead any time, with all preemptive steps having been taken, but noted that a priority would still be given to resolve issues through dialogue. “So in late January (2014) we requested to arrange a meeting but there was no response. So sent another letter this month. now we are waiting to discuss our issues. our next step will depend on how that goes,” Athif said. “We are not exactly asking for a raise here, the government can never compensate teachers for their service, that is impossible. We are only asking to be treated fairly. There already is a huge gap between teachers’ pay and the pay for less qualified persons doing less work in other institutions. And now they have increased pay for some,” he said. Comparing teachers’ pay with that of other institutions, Athif noted that an office assistant who hasn’t completed high school working at an independent institution will earn an amount equal or more than a qualified teacher with a degree. “Such a teacher will earn around nine thousand rufiya in that assistant director level job. An assistant director at an independent institution will earn more than sixteen thousand. In health sector a nurse with a diploma will earn even more,” he continued. According to TAM, the meeting with the minister in December was cut short due to “lack of time” with some of the issues not raised during the meeting later shared in a letter. One of the issues detailed in the letter was concern over the ‘Edhuru Vehi’ teachers’ flats in Villimalé . TAM requested the eviction of 27 flats already occupied by unqualified persons and the assurance that all flats were given only to “technical staff” in the education sector. The letter stated that three of these apartments could be reserved for school heads and senior teachers traveling to the capital. TAM said that if the issue was not resolved, the organisation would file a case with the Anti-Corruption Commission. Other major issues raised by TAM concerned improving the education sector and the quality of services provided. According to the association, qualified young graduates are turning away from the sector due to poor pay and working conditions. “Teachers should focus on each and every student in a classroom, but there are 35 students to focus on within 35 minutes. To compensate for this, parents have to pay thousands for private tuition. This is not free public education,” said the TAM president. The association has requested that the ministry of education involve teachers in discussions regarding the sector. Last week, the association released a report titled ‘Education sector in a deep pit’ – highlighting the state’s “total disregard” towards the sector. The report stated that 60% of schools in the Maldives are run without a principal, and contrasted reduced spending on education with significant increases in areas such as the military, political posts, and independent institutions. An experienced teacher from Thaa Atoll School told Minivan News today that, even though the pay is no match for the work teachers do, they don’t always complain about it. According to the teacher, the total pay (with salary and allowances) for the most qualified teacher at the school – with a degree in social sciences and a professional degree in teaching – is approximately MVR10,500. “For most teachers it would be around MVR9000 or less. The person in charge of cleaning up the health center takes home around MVR16000” She said. A secondary school teacher from Laamu Mundoo complained that overtime payment for teachers has been limited to just 5 percent of their basic salary, which is an average of MVR280 per month. “We are told that even if we work more overtime hours we will not get paid for that. But how can we be teachers and not work overtime? We need to prepare lesson plans and teaching aids, we have to assist students in extracurricular activities and mark their papers and books, we have take extra classes for students who need that. So basically we are doing volunteer work here” She said. A teacher from Thaa Atoll Madifushi said that salaries for teacher are often delayed and that the pay for January had still not been disbursed. “And we don’t have access to teachers text books, chemicals or other equipment in most islands here,” she added. Other teachers noted issues of retaining senior management staff who are not receptive to changes or the use of technology and modern teaching methods. They also noted the ministry’s failure to monitor schools in islands on a regular basis. Athif reiterated that teachers will go on strike only as a last resort. TAM is hoping for parents’ support, and will be meeting parents through Parent Teacher Associations (PTAs). “We are currently discussing the matter within our organisation’s committees, we hope parents will stand with us in this. This is about their children’s rights, improving the education sector is a national issue. The less we spend on this sector, the more we will have to spend on prisons. But if parents don’t act, and if the government refuse to act, we will go on strike. But only as a last resort,” Athif said. According to TAM the organisation has 1500 permanent member and an estimated 4000 Maldivian teachers across the country who will participate. Recent Civil Service Commission data shows there to be 5,676 teachers in the Maldives – 4,855 of them are locals. “Foreign teachers work here on contract basis, so they are not involved in this officially. Even for local teachers, we are asking for their opinion. We will conduct a survey and see how many of them are with us and if they want to go on strike. It will be their decision. Even then, we will give a chance for the government to find temporary teachers to fill in during that period.” Athif said. Dr Mustafa Lutfi was appointed as the running mate of Maldivian Democratic Party (MDP) presidential candidate Mohamed Nasheed for the upcoming presidential election on September 7. He previously served as Minister of Education in Nasheed’s administration, having resigned from his post as the first Chancellor of the Maldives National University following the controversial transfer of power in February 2012. The MDP has continued to allege that the change in government last year, was a “coup d’etat”. Dr. Lutfi also previously served in the cabinet of Former President Maumoon Abdul Gayoom. Mariyath Mohamed: What made you decide to accept the position as Mohamed Nasheed’s running mate? Mustafa Lutfi: I accepted it very happily, not because of the importance or weight of the position offered, but because it is President Nasheed whose deputy I was asked to be. President Nasheed is someone I deeply respect, as he played the most major role in the democratic revolution which has come to the Maldives. In my opinion, President Nasheed is among the few who has sacrificed much in order to guarantee independence for the Maldivian people – personal freedoms, to save the citizens from the repression they were in, to bring a more fulfilling state of living to the people – and also because President Nasheed is the most loved and respected person in this country. A chance to work with such a well-respected, loved man is a cause for happiness to me. I extend thanks to MDP and President Nasheed for appointing me, as they have done so by placing utmost trust in me. MM: Many people have commented that by using the slogan “I will not be a baaghee” (nethey veveykah baaghee akah) you are campaigning with a highly negative message. Why was this theme chosen? ML: I think then there is some misinterpretation. By the slogan, we are not meaning to say that I will not bring about a coup d’etat. What we mean is that we Maldivians are saying as a whole that none of us will be traitors, that we will all say no to coup d’etats. Previously, we have often talked about the brutality, violence and bloodshed. Besides all of that, I have now come to know, through interviews I am conducting for a book I intend to write, that a far more painful effect has been made on the people – the psychological trauma. This is something we must talk openly about now. MM: What aspects of governance will you focus on if you are elected? ML: We are mostly looking at how the country’s development has been set back as a result of the coup d’etat and are focusing on setting that right. Some people interpret ‘development’ to mean the construction of jetties, or seawalls, or large buildings. But what we mean by ‘development’ is not this alone. The root of development, as meant by MDP, is the individual person. The improvements that come to the person’s health, how his thoughts and ideas are broadened and developed, improvements to the individual’s social status and economic contentment. Our development goes full circle, and covers all aspects of an individual citizen’s life. Sustainable development can only be achieved through the changes that come to an individual and his way of thinking. MM: We have seen that, even in the previous MDP administration, development projects are completed at comparatively very fast speeds. This has at times given rise to concerns about the environmental impacts of such work. How much attention has been given to environmental impacts during the planning of your new policies? ML: Sustainable development cannot be achieved if, in the process of development, the environment is harmed. The environment and its protection are very high in our priorities. MM: The Decentralization Act was passed during Nasheed’s administration. In recent times, we have often heard reports of the councils facing hardships due to both budget constraints and a lack of cooperation from state authorities. Is the MDP aware of this, and are there any plans to empower and strengthen decentralized governance? ML: I strongly believe that the people must be given the freedom to make decisions on matters that will impact them or concern them. It won’t do to just decentralize governance – they must also be given necessary training, a support structure must be set up, as well as a functional oversight mechanism. MM: MDP’s education policy details increased opportunities for higher education both locally and abroad. However, there are certain instances where students drop out of school and are thus unqualified to apply for higher education. In such instances, what plans do you have? For example, do you intend to broaden vocational training? ML: Even in our previous government, under a programme named ‘Hunaru’ (skill) we gave them special training to prepare them for the workplace and even assisted them to find occupation. We also formed a polytechnic to train skilled workers under our technical vocational education programme, both in the atolls and in Male’. Our aim now is to ensure opportunities for all youth to be able to achieve higher education. If they have to leave school before they obtain the required qualifications, they will have the option of enrolling in either foundation courses or technical vocational training. MM: When you were in Nasheed’s cabinet as Education Minister, you faced a lot of criticism from certain opposition parties for allegedly suggesting that Islam and Dhivehi be made optional subjects. In retrospect, do you think that was a wise decision, and would you recommend the same if MDP is elected again? ML: That has been a much talked about issue. One topic of discussion when drafting the curriculum was whether we should leave all subjects optional at higher secondary education level. And this too was just one among many topics simply opened for discussion. However, in the middle of the debate, a group of people brought it to a halt. We were not able to hold a wide and free discussion on the matter, and through the influence of a certain group of people it was so decided that the subjects cannot be left as optional. That is how it happened. MM: Would you work to make the subjects optional again in future? ML: This is not at all about what I want. Nor about what the government wants. It is in essence about what the citizens want. The danger here is that these things go in the manner that a particular small group from among the citizens insists upon. In a democracy, those who speak up and express their opinions are those who get heard. This is why it is important to engage in discussions about matters that will impact you. A lot of people want to leave the subjects optional, especially higher secondary level students and some parents. Yet they did not speak up about it. The curriculum drafting team will only be aware of the views that are openly expressed. The group who spoke most openly and loudly on this matter were some from among the religious scholars. So this ended as these scholars wanted it to. MM: It is a common criticism levied at the MDP that the party consists of ‘ladhini’ (anti-Islamic/irreligious) leadership and members. What level of importance is given to matters of the religion by your party? ML: Our government was one that gave a lot of attention to religion even before. We established a separate ministry to handle matters related to Islam, we built a large number of mosques across the country, we facilitated prayer rooms to be made in schools. Our government was the one that first gave complete freedom to religious scholars to spread their knowledge. For the first time they were able to preach in mosques, streets or other public places, and to bring in foreign scholars. President Nasheed and the rest of the leadership of MDP perform prayers and other religious obligations just like other Maldivians. The other aspect is belief. Just saying that one is a Muslim is not enough, it is between oneself and God. And unlike certain others, we do not lie. We do not try to defame others, or make up tales about people. We do not spread discord. So, as I see it, we are living within Islamic principles. No one can rightfully say that people in MDP are ‘ladhini’. The biggest difference between us and certain other members of the opposition is that we do not go around saying we are religious, nor we do accuse others of being irreligious. MM: You were very actively involved in the formation of President Mohamed Waheed’s Gaumee Ihthihaad Party (GIP). What was your perception of people’s expectations from a political party such as GIP at that point in time? ML: We brought on board people with the qualifications to be able to sit on a cabinet were we to be elected to run a government. This included many PhD holders, and people that society would accept as being respectable. To be honest, we found members by using individuals who we intended to include in our cabinet, and their merit, as our strongest selling point. MM: Do you notice any difference between now and then in what appeals to people, and what convinces people to support political parties? ML: There’s a huge difference. Through the work of MDP, the majority of citizens now believe that a people who wants to come to power must approach the electorate with pledges which are based on policies formed with people’s needs in mind. The opposition and their verbose criticism has assisted us in proving to the people that we are capable of fulfilling our pledges. For example, our pledge about connecting the islands with a transport mechanism. They mocked us and made sarcastic comments asking what would we join the islands with, is it with a thread, and so on. Today, the people see that we have connected the islands with ferry services, making travel between one island and another more convenient than ever before. The people know that MDP will fulfill any pledges that we make, in good quality and at a very fast pace. MM: You initially joined the MDP government through a coalition between the party and GIP. After the GIP/MDP coalition split up, you joined MDP. What made you decide to do so? ML: I had an interest in MDP and the work they were doing even when I initially left President Maumoon’s government. If I do join a party, it is my character to become very actively involved in it. However, at that point in life I wanted to focus on one of my life’s ambitions, which is writing. So during those two years, I wrote and published a number of books, while working at a boat construction company of a relative in Thilafushi. I was still doing this work when [President] Waheed approached me to form GIP. I joined MDP later because I had worked closely with President Nasheed as a cabinet minister and he had won my respect even then due to his energetic approach and his empathy towards the people of Maldives. The leadership of MDP are people who very passionately engage in the reform and democratic movement, and this inspired me. MM: Having worked so closely with President Waheed, how did you perceive the role he allegedly played in the controversial transfer of power on February 7, 2012? ML: It didn’t at all come across as a shock or surprise to me. I did have suspicions that Waheed would come out against Nasheed in the latter two years of the MDP administration. I did not, however, expect Waheed to join a group of people and commit an act of treason by orchestrating a coup d’etat. MM: How much importance will be given to police reform, military reform and judicial reform? ML: MDP is coming with the intention of conducting things with the best interest of the people in mind – and this too, will be carried out as is best for the people. MM: At the time of the power transfer, you were serving as the first Chancellor of the Maldives National University. What made you decide to leave the post? ML: I am one who never backs away from anything that I believe I must do at any given time. In this way, last year it occurred to me that it is pointless for me to remain as chancellor of the university when the state of my country was deteriorating due to the events we faced. I thought it is more important, and something I must do in national interest, to join the movement against the coup d’etat, to actively work to bring back our democratic rights and freedoms. There are many others who are capable of being chancellor, and yet more people were needed at the time to actively dedicate time to this movement and come out onto the streets. I believed that it is ultimately more important to express my sentiments against what I believe to be an unacceptable act, an act of treason, being carried out in my country. Islamic education is more highly prioritised than at any other time in Maldivian history, said MDP parliamentary group leader Moosa Maniku during a Majlis debate on a DRP bill to mandate the teaching of Islam and Dhivehi in grades 11 and 12 in the country’s schools. Laws which aim to limit the policy options for the government are unacceptable, said Maniku, and there are rights which have to be given to people but they cannot be delivered as there is no legal infrastructure for that to happen. It will be better if the Majlis could help people in realising those rights, he said, and the current debate was a waste of the Majlis’ precious time. DRP members spoke in favour of the bill during the debate. Abdul Azeez Jamaal Aboobakur, a co-sponsor of the bill , said that he had submitted the bill in a personal capacity and his aim was not political. It is important to protect the main pillars of Maldivian society from imminent threats and dangers, he said. The bill was accepted for further debate and sent to the Majlis committee for national development.